Generally in California, absence of contractual agreement between employer and employee, employment is presumed to be “at-will”, meaning the employment relationship can be terminated at any time by either employer or employee with or without cause. One way to avoid an “at-will” employment is by forming a contractual agreement between the parties. The contract can be written, oral, or implied. In general written employment contracts are rare and usually reserved for professional sports stars, entertainers, and highly-paid executives. An employee is entitled to sue her/his employer for breach of a written employment contract. 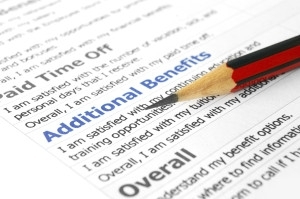 3- The existence of employee benefit programs, such as retirement programs and 401K programs. Oral contracts do exist but may not be enforceable because they are not in writing. Additionally, because the employee has the burden of proving the existence and terms of the oral agreement, disputes over oral contracts will often come down to the employer’s word against the employee’s. In the absence of a written instrument evidencing the existence and terms of an agreement, the employee will lose for failing to meet their burden of proof. The statute of limitation for oral contracts are much less than written contracts. Union members have a union contract. However, before a union member can sue its employer for breach of the contract, member must first exhaust all “administrative remedies,” under the union contract such as grievance procedures, arbitrations, and other processes outlined in the union contract. If you believe that you have a written, oral, or implied contact with your employer, and there is a breach of contract, please contact our labor and employment attorney at Rawa Law Group to find out your options.